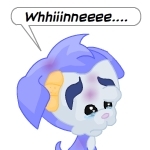 Anybody who owns a Neopet knows that they can be a lot of work to take care of, but it's worth every second. But just feeding them, giving them medicine when they're sick, and buying them the occasional plushie isn't going to cut it. That's not really taking care of your pet. You need to surprise them every once in a while, so I've prepared a countdown to show you the five best ways to shake things up and give your pets a pleasant surprise. 5. Buy them a petpet! You love taking care of your pets. You wouldn't be on Neopets if you didn't. So, there are several reasons why buying your pets a petpet to take care of is a fantastic idea. First, it gives them some pure joy. No matter what petpet you buy them, they will love it. They get to give it a name which makes it truly theirs. They get to talk to it and play with it, so they'll never be lonely. Even if the rest of the family is off somewhere else or ignoring them, they have their trusty petpet to keep them company. They get to buy it toys, food, and furniture, which teaches them how to wisely spend Neopoints, plus they get to help out their new best friend. Second, it gives them some responsibility. I don't know about you, but the main problem I have with my family is the lack of any responsibility. They aren't able to keep track of things, or take care of their things. Donny the toy fixer knows us all by name we've been up there so often. Anyways, having a petpet will teach your pets responsibility. They have to take care of it. If it gets hungry, they have to feed it. If it gets sick, they have to help it while it gets better. Taking care of something that important will make it so that it's almost impossible for them to not take care of all their other things. It's a win-win for you. And finally, they will finally understand what you go through every day taking care of them. My pets are much better behaved since I bought them their petpets, because since they now have to take care of something, they have more of an understanding of what I have to do to keep them well taken care of. My pets hardly ever act up anymore. Instead, they think, 'What would I do if my petpet did this to me?' Usually the response is 'I would freak out,' so they simply don't act up. Their petpets were a great investment on my part. 4. Take them on a trip! Neopia has so many different lands. From Krawk Island to Kreludor, from Meridell to Maraqua, there are more lands than most people can count. However, most Neopets have never been beyond the land they live in. Taking a trip with your Neopets is a great thing to do. My pets and I recently left our native land of Brightvale to go out and explore Neopia. Here is what we found out about why a trip with your Neopets is a great way to surprise them. First, they get to learn knew things. All of my petpets learned something new on our trip to visit every land in Neopia. Molly picked up a lot of history information from the Brain Tree, Angie got a lot of wisdom from King Hagan, Wildflower got to spiff up her joke telling on a visit to King Skarl, and Rosie learned a lot about books from the Library faerie. Whatever your pet is interested in, a trip around Neopia is bound to teach them something new that they will love to learn. Another great reason to take your pets on a trip is the good quality time you get to spend together. Nothing brings a family together like getting scared to death in a deserted tomb, eating a slushie in the freezing cold, or cheering on a Poogle you just fed some grapes. Every experience you have, you'll have together, and it's a kind of quality time you can only get being away from home for extended periods of time. My family is much closer together now, although admittedly Angie and Wildflower still do fight entirely too much. Your neohome is where your pets spend most of their time, so make it a place you know they'll love. Here's the best way to do it: Shop wizard all the items you want, and put together an estimate of how much it is going to cost. Save up that amount, and buy all the furniture at the same time. If you place new items over a period of time, your pet is going to know something's up. Get all your pets out of the house for a while, place the furniture while they're gone, and when they come back: SURPRISE!!! A whole new batch of furniture just for them! Your pets will be rushing to see what you did to their room. I recently made a fairly modest upgrade to our Neohome costing about 200k. I redid all their rooms in themes, put in a kitchen, bathroom and living room, and started a flower garden. My pets loved it so much, they practically didn't leave the house for a week. I felt so great. 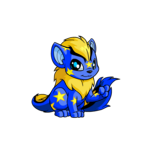 Even if you don't have a lot of Neopoints to spend, here are some simple changes to spruce up your Neohome and surprise your Neopets. First, new wallpaper. This is such an affordable change, but it does wonders and makes a lot of changes. Second, new beds. This is the main piece of furniture in each of their rooms, and if it looks new, then so will the rest of the room. And finally, posters. There are plenty of inexpensive posters full of personality, so buy a few for each pet and let them use them to decorate their room. Whether it's of Doctor Sloth or a cute little petpet, your pet will love posters because they get to personalize their room by themselves. 2. Paint them a new color! A new color gives them a whole different outlook on life. All of a sudden, people look at you differently, and you look at them differently. A faerie paint job can make you soar to new heights, a royal paint job can give you a self esteem boost and a bit more bossy of an attitude. A ghost paint job can turn even the sweetest of pets into a sneaker or a lurker. Cool, huh? Let's take a look at what paint jobs have done in the lives of my pets. We'll be looking at Molly and Angie. Molly and Angie both got relatively cheap paint jobs: Cloud and Christmas. Before, Molly used to be red. In case you didn't know, red is an angry color, and it showed in her personality. She was always mad at all of her siblings. I was a fairly poor Neopian then, pulling in about only 2k or 3k a day, so I needed a relatively cheap paint job that would lighten up her personality. I saw a cloud paintbrush, and realized that it was perfect for her. It was light, airy, and happy, which is something she desperately needed. Now, she is light-hearted, bubbly and much happier in life, all because she now has some clouds on her fur. With Angie, she was sad a lot, so I decided she needed something festive, hence her Christmas color. Now, she is the life of every family event, and she loves it very much. She is a more giving person, and she loves every aspect of life to its fullest. It's great for both of them. Your Neopets too can experience this magical transformation with a paint job. 1. Make an addition to the family! How many of you can handle another Neopet? Most of us can, just not a lot of us will. This is, hands down, the best way to surprise your Neopet. Every pet wants siblings, and this is the best thing you can do for your pet. They now have a humongous hand in what goes on in your home, somebody to help take care of, and a great new friend. You will be astounded at the transformation this can trigger in your pet, having a youngin' around to help take care of.When we brought in little Rosie, Molly, Angie and Wildflower turned into different pets. They all pitched in on her room to make it perfect for her, they made welcome banners, they offered to run and pick up some fruits for dinner at least four nights a week so I could stay back and make sure Rosie was okay in this new place. Plus, they got to be very active in her getting used to her new family. They gave her tours around our native town of Brightvale, went out to buy her a petpet, and took her on a day trip to Meridell. They welcomed their new sister with open arms, and became beautifully mannered pets. As you can see, there are tons of great ways to surprise your Neopet, all of which result in a great change of pace and attitude. So go and give it a try, because you'll never know just what effect it will have on your pet! If you're reading this, I made it again. Third time. Yeah! He opened the door to his office. There was someone waiting within.